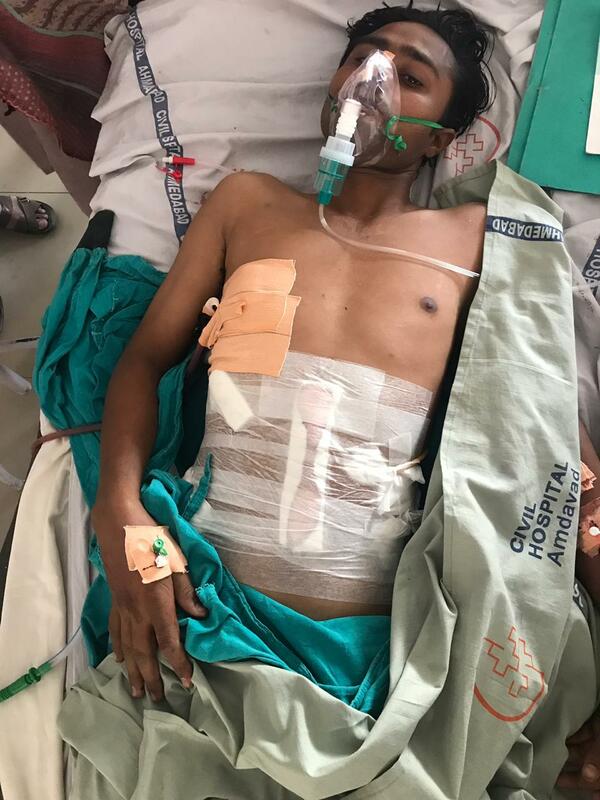 In yet another clear case of mob lynching, saffron vigilantes have attacked two persons belonging to a minority community transporting eight buffaloes in Gujarat. The incident happened between 1 and 2 am when they were taking the animals from Deesa in Palanpur district in North Gujarat to Bharuch in South Gujarat. The attack, said a media alert by Minority Coordination Committee (MCC) convener Mujahid Nafees, took place when the vehicle, a truck, in which they were taking the buffaloes passed through Ahmedabad's Ramol police station area. "They were attacked by four persons riding on two motorcycles", Nafees said, adding, " One of them, Zaheer, was attacked with a knife. Badly injured, he is currently taking treatment in Civil Hospital, Ahmedabad." The second person, Mustafa, Zaheer's brother, saved his life by hiding in a police car parked nearby. MCC activists Jameela Khan and Danish Khan helped the victims at the Civil Hospital. An FIR, lodged with the Ramol police station, quotes the victims as saying that they were stopped with sticks in their hands by the vigilantes, who called themselves "go rakshaks".